For other uses, see Aria (disambiguation). "Arias" redirects here. For other uses, see Arias (surname). The farewell aria of Sultan Bazajet in Handel's opera Tamerlano . (Note the da capo instruction.) First edition, London, 1719. In music, an aria ( [ˈaːrja] ; Italian: air ; plural: arie [ˈaːrje] , or arias in common usage, diminutive form arietta [aˈrjetta] , plural ariette, or in English simply air) is a self-contained piece for one voice, with or without instrumental or orchestral accompaniment, normally part of a larger work. An air is a song-like vocal or instrumental composition. The term can also be applied to the interchangeable melodies of folk songs and ballads. It is a variant of the musical song form often referred to as aria. The plural, in many languages, is one of the values of the grammatical category of number. Plural of nouns typically denote a quantity other than the default quantity represented by a noun, which is generally one. Most commonly, therefore, plurals are used to denote two or more of something, although they may also denote more than fractional, zero or negative amounts. An example of a plural is the English word cats, which corresponds to the singular cat. An orchestra is a large instrumental ensemble typical of classical music, which mixes instruments from different families, including bowed string instruments such as violin, viola, cello, and double bass, as well as brass, woodwinds, and percussion instruments, each grouped in sections. Other instruments such as the piano and celesta may sometimes appear in a fifth keyboard section or may stand alone, as may the concert harp and, for performances of some modern compositions, electronic instruments. The typical context for arias is opera, but vocal arias also feature in oratorios and cantatas, sharing features of the operatic arias of their periods. The term was originally used to refer to any expressive melody, usually, but not always, performed by a singer. A strophe is a poetic term originally referring to the first part of the ode in Ancient Greek tragedy, followed by the antistrophe and epode. The term has been extended to also mean a structural division of a poem containing stanzas of varying line length. Strophic poetry is to be contrasted with poems composed line-by-line non-stanzaically, such as Greek epic poems or English blank verse, to which the term stichic applies. A madrigal is a secular vocal music composition of the Renaissance and early Baroque eras. Traditionally, polyphonic madrigals are unaccompanied; the number of voices varies from two to eight, and most frequently from three to six. It is quite distinct from the Italian Trecento madrigal of the late 13th and 14th centuries, with which it shares only the name. In the context of staged works and concert works, arias evolved from simple melodies into structured forms. In such works, the sung, melodic, and structured aria became differentiated from the more speech-like ( parlando ) recitative – broadly, the latter tended to carry the story-line, the former carried more emotional freight and became an opportunity for singers to display their vocal talent. Recitative is a style of delivery in which a singer is allowed to adopt the rhythms of ordinary speech. Recitative does not repeat lines as formally composed songs do. It resembles sung ordinary speech more than a formal musical composition. The aria evolved typically in one of two forms. Binary form arias were in two sections (A–B); arias in ternary form (A–B–A) were known as da capo arias (literally 'from the head', i.e. with the opening section repeated, often in a highly decorated manner). In the da capo aria the 'B' episode would typically be in a different key – the dominant or relative major key. Other variants of these forms are found in the French operas of the late 17th century such as those of Jean-Baptiste Lully which dominated the period of the French baroque; vocal solos in his operas (denominated of course by the French term, airs) are frequently in extended binary form (ABB') or sometimes in rondeau form (ABACA),  (a shape which is analogous to the instrumental rondo). Binary form is a musical form in 2 related sections, both of which are usually repeated. Binary is also a structure used to choreograph dance. In music this is usually performed as A-A-B-B. Ternary form, sometimes called song form, is a three-part musical form consisting of an opening section (A), a following section (B) and then a repetition of the first section (A). It is usually schematized as A–B–A. Examples include the da capo aria "The trumpet shall sound" from Handel's Messiah, Chopin's Prelude in D-Flat Major and the opening chorus of Bach's St John Passion. The da capo aria is a musical form for arias that was prevalent in the Baroque era. It is sung by a soloist with the accompaniment of instruments, often a small orchestra. The da capo aria is very common in the musical genres of opera and oratorio. According to Randel, a number of Baroque composers composed more than a thousand da capo arias during their careers. A ritornello[ritorˈnɛllo] is a recurring passage in Baroque music for orchestra or chorus. A concerto is a musical composition generally composed of three movements, in which, usually, one solo instrument is accompanied by an orchestra or concert band. It is accepted that its characteristics and definition have changed over time. In the 17th century, sacred works for voices and orchestra were typically called concertos, as reflected by J. S. Bach's usage of the title "concerto" for many of the works that we know as cantatas. Sonata form is a musical structure consisting of three main sections: an exposition, a development, and a recapitulation. It has been used widely since the middle of the 18th century. Types of operatic aria became known by a variety of terms according to their character – e.g.aria parlante ('speaking-style', narrative in nature),  aria di bravura (typically given to a heroine),  aria buffa (aria of a comic type, typically given to a bass or bass-baritone),  and so on. By later in the century it was clear that these formats were becoming fossilized. 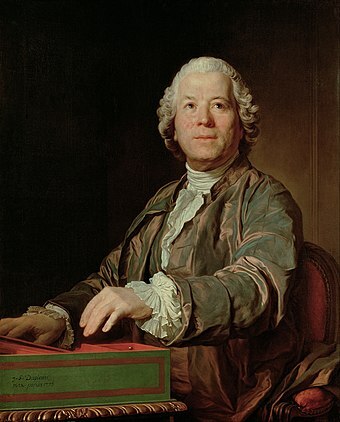 Christoph Willibald Gluck thought that both opera buffa and opera seria had strayed too far from what opera should really be, and seemed unnatural. The jokes of opera buffa were threadbare and the repetition of the same characters made them seem no more than stereotypes. In opera seria the singing was devoted to superficial effects and the content was uninteresting and stale. As in opera buffa, the singers were often masters of the stage and the music, decorating the vocal lines so floridly that audiences could no longer recognise the original melody. Gluck wanted to return opera to its origins, focusing on human drama and passions and making words and music of equal importance. The effects of these Gluckist reforms were seen not only in his own operas but in the later works of Mozart; the arias now become far more expressive of the individual emotions of the characters and are both more firmly anchored in, and advance, the storyline. Richard Wagner was to praise Gluck's innovations in his 1850 essay "Opera and Drama": " The musical composer revolted against the wilfulness of the singer"; rather than "unfold[ing] the purely sensuous contents of the Aria to their highest, rankest, pitch", Gluck sought "to put shackles on Caprice's execution of that Aria, by himself endeavouring to give the tune [...] an expression answering to the underlying Word-text". This attitude was to underlie Wagner's would-be deconstruction of aria in his concept of Gesamtkunstwerk . Despite the ideals of Gluck, and the trend to organise libretti so that arias had a more organic part in the drama rather than merely interrupting its flow, in the operas of the early 19th century, (for example those of Gioachino Rossini and Gaetano Donizetti), bravura arias remained focal attractions, and they continued to play a major role in grand opera, and in Italian opera through the 19th century. 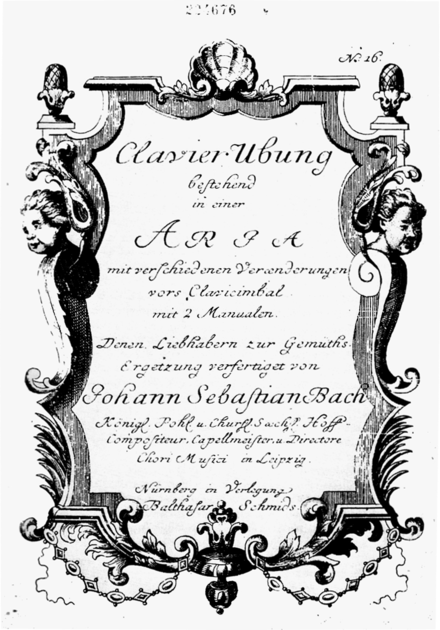 Concert arias, which are not part of any larger work, (or were sometimes written to replace or insert arias in their own operas or operas of other composers) were written by composers to provide the opportunity for vocal display for concert singers;  examples are Ah! perfido , Op. 65, by Beethoven, and a number of concert arias by Mozart, including Conservati fedele . The word is sometimes used in contemporary music as a title for instrumental pieces, e.g. Robin Holloway's 1980 'Aria' for chamber ensemble. or Harrison Birtwistle's brass band piece, 'Grimethorpe Aria' (1973)  . See Category:Arias for notable arias which have articles on Wikipedia. Opera buffa is a genre of opera. It was first used as an informal description of Italian comic operas variously classified by their authors as commedia in musica, commedia per musica, dramma bernesco, dramma comico, divertimento giocoso. Rondo and its French part-equivalent, rondeau, are words that have been used in music in a number of ways, most often in reference to a musical form but also to a character type that is distinct from the form. Johann Adolph Hasse was an 18th-century German composer, singer and teacher of music. Immensely popular in his time, Hasse was best known for his prolific operatic output, though he also composed a considerable quantity of sacred music. Married to soprano Faustina Bordoni and a great friend of librettist Pietro Metastasio, whose libretti he frequently set, Hasse was a pivotal figure in the development of opera seria and 18th-century music. A Gesamtkunstwerk is a work of art that makes use of all or many art forms or strives to do so. The term is a German word which has come to be accepted in English as a term in aesthetics. In music, an intermezzo, in the most general sense, is a composition which fits between other musical or dramatic entities, such as acts of a play or movements of a larger musical work. In music history, the term has had several different usages, which fit into two general categories: the opera intermezzo and the instrumental intermezzo. French classical music began with the sacred music of the Roman Catholic Church, with written records predating the reign of Charlemagne. It includes all of the major genres of sacred and secular, instrumental and vocal music. French classical styles often have an identifiably national character, ranging from the clarity and precision of the music of the late Renaissance music to the sensitive and emotional Impressionistic styles of the early 20th century. 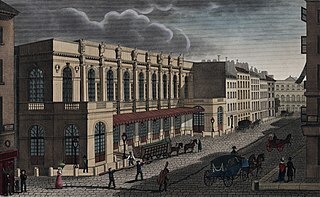 Important French composers include Pérotin, Machaut, Dufay, Josquin des Prez, Lully, Charpentier, Couperin, Rameau, Leclair, Grétry, Méhul, Auber, Berlioz, Alkan, Gounod, Offenbach, Franck, Lalo, Saint-Saëns, Delibes, Bizet, Chabrier, Massenet, Widor, Fauré, d'Indy, Chausson, Debussy, Dukas, Louis Vierne, Duruflé, Satie, Roussel, Hahn, Ravel, Honegger, Milhaud, Poulenc, Auric, Messiaen, Françaix, Dupré, Dutilleux, Boulez, Guillou, Grisey, and Murail. Prima la musica e poi le parole is an opera in one act by Antonio Salieri to a libretto by Giovanni Battista Casti. The work was first performed on 7 February 1786 in Vienna, following a commission by the Emperor Joseph II. The opera was first performed at one end of the orangery of the Schönbrunn Palace in Vienna by an Italian troupe; simultaneously, Mozart's Der Schauspieldirektor was staged at the other end. "Va tacito e nascosto" is an aria written for alto castrato voice in act 1 of George Frideric Handel's opera Giulio Cesare in Egitto, composed in 1724 to a libretto by Nicola Francesco Haym. Sung by the character Julius Caesar, it features extensive solos for natural horn. A rage aria is an operatic aria expressing the rage of the character performing it. ↑ Merriam-Webster dictionary online Archived 2013-02-02 at the Wayback Machine accessed 21 March 2013. ↑ Moore, John Weeks (1880) . "Aria di bravura" . Complete Encyclopaedia of Music. New York: C. H. Ditson & Company. ↑ Cited in Robinson (1962) 33. (Translation slightly adapted). 1 2 3 Westrup (n.d), §5.1. ↑ The Oxford Companion to Music , "Concert aria"
↑ "Birtwistle - Grimethorpe Aria for brass ensemble - Universal Edition". Universal Edition. Archived from the original on 28 April 2018. Retrieved 28 April 2018. Anthony, James R. (1991), "Air and Aria added to French Opera from the Death of Lully to 1720", in Révue de Musicologie, vol.77/2, pp. 201–219. Lewis, Anthony (1959), "Handel and the Aria", in Proceedings of the Royal Musical Association , vol. 85, pp. 95–107. 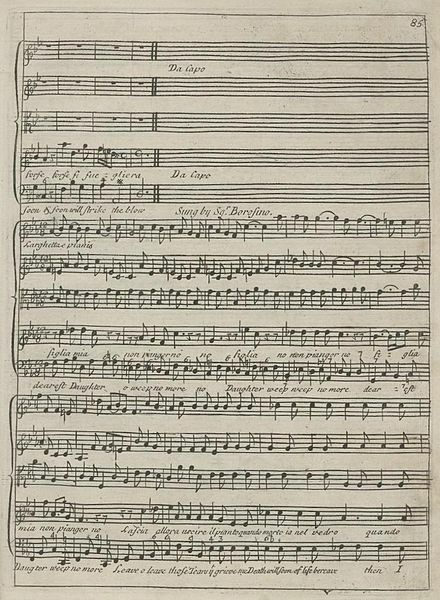 Robinson, M. F. (1962), "The Aria in Opera Seria, 1725–1780", in Proceedings of the Royal Musical Association, vol. 88, pp. 31–43. Talbot, Michael (n.d.), "Ritornello", in Grove Music Online (subscription only), accessed 22 March 2013. Wagner, Richard (1995), tr. W. Ashton Ellis, Opera and Drama , Lincoln and London: University of Nebraska Press. ISBN 9780803297654. Westrup, Jack, et al. (n.d.), "Aria", in Grove Music Online (subscription only), accessed 20 March 2013. Wikisource has the text of the 1911 Encyclopædia Britannica article Aria .